At the top left of your visitor log you'll find a blue button to 'auto-delete' as well as a 'clear log' button. Clear log will immediately delete all visitor records from your log. 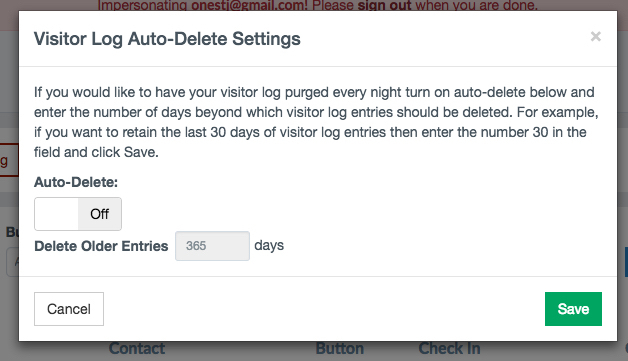 The auto-delete option allows you to schedule the removal of your visitor log based on how old they are.